I am slowly piecing together information about our human history on this planet. 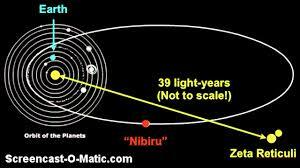 This post provides some great links to fascinating articles about the planet Niburu, and brothers Enki and Enlil. It explains how many humans were genetically engineered to be slaves to the ‘gods’. The gods were really interplanetary beings who appeared to be more powerful to us for many reasons. The main reason being that they seemed to be immortal. this was only because 1 year on their planet is equivalent to 300 years on our own, so they could live for a very long time here. Like any species they needed to be fed to survive. Their food of choice was blood and ritual sacrifice which still goes on today in many cultures. What we saw as ‘heaven’ where the gods lived is really a twelfth planet that is not our galaxy, called planet x or Nibiru. The following article elaborates on who the annunaki are and their agenda on the planet, especially today. It also refers to reptilians who have plagued humankind for a very long time.